As the old Church High building is renovated, one of the hardest things I have had to come to terms with is the reconfiguring of the space. Areas at the top of the building I loved for their individual personalities and functions have been opened up in a way which jars the senses uncomfortably; conversely, former social spaces on the ground floor are now being sectioned off by stud walls into little cubes. It was a long time before I could get near the top north-east corner of the site and when I eventually got there, it was a big shock. 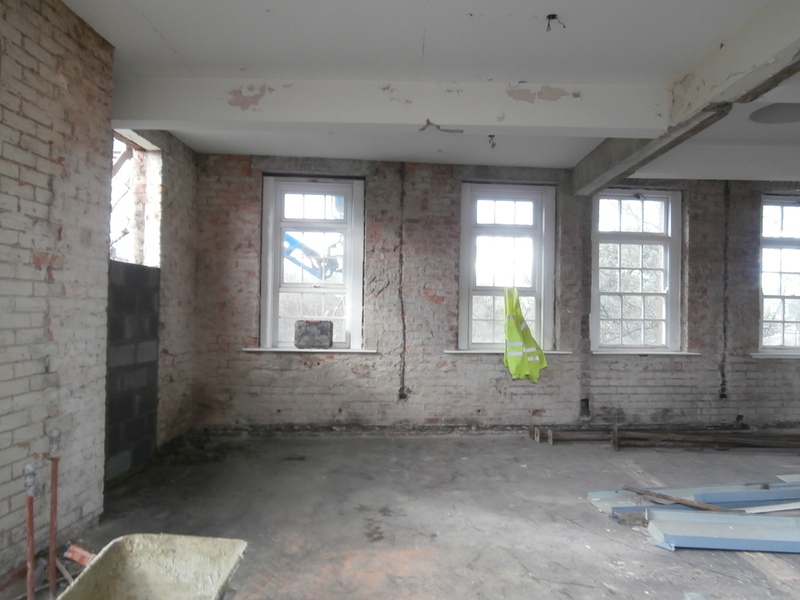 The top floor suite of IT rooms is now sadly unrecognisable. 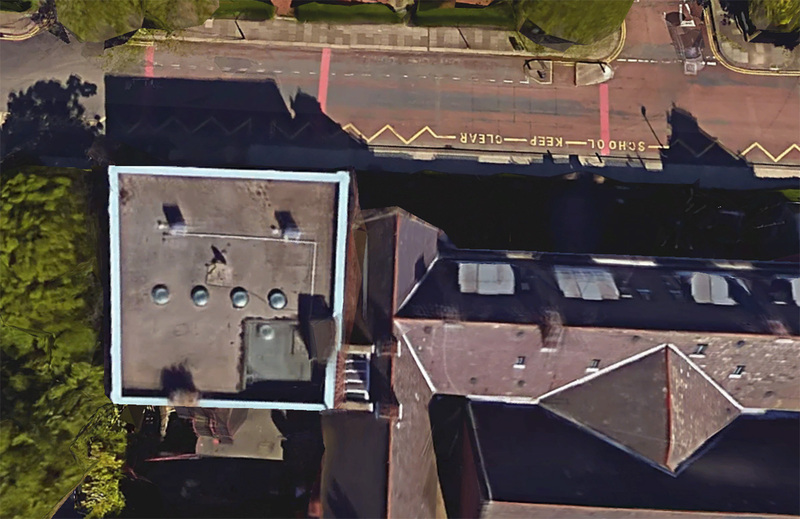 Even if you weren’t ever consciously aware of walking under a corrugated clear plastic roof light at the very top of the north main staircase, if you’d looked at the north extension flat roof area using Google Earth, you’d have noticed a few quirky features. The roof light, little porch structure housing the door out onto the roof (reached via a metal staircase secreted away in the cleaner’s cupboard to the right of the ICT Suite door) and a row of small port-hole-like glass globes designed to let more light into the room below were all very characterful and, as such, so very, very Church High. 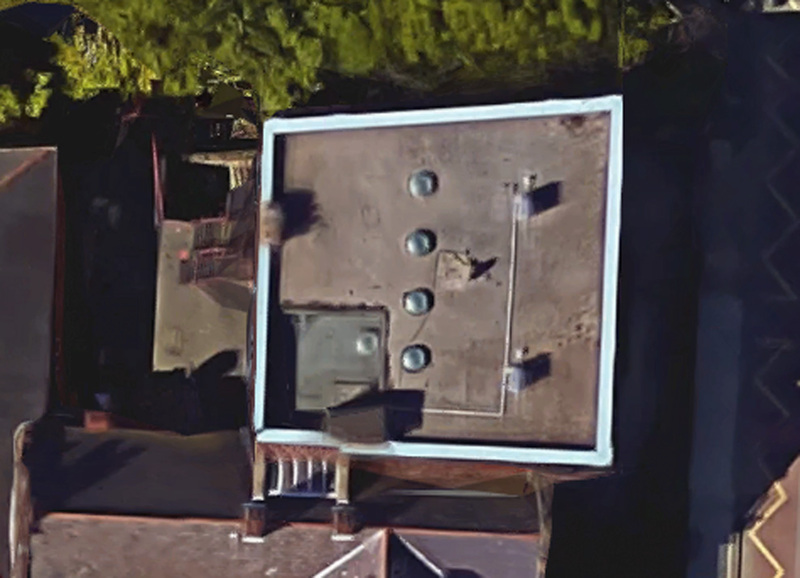 The quirky features on the flat roof of the 1954 north extension’s third storey with modern satellite dish in the centre. The IT Manager’s Office roof has gone missing. My second thought, which followed hard upon it, was ‘Where has the IT Manager’s Office gone too?’ This was very disorientating indeed. Following the dismantling and restructuring of the mezzanine-levelled LRC in which he invested so much of himself, the only sign that Steven Farrell’s office was ever there now is a brownish, L-shaped outline on the grey concrete floor. He could be forgiven for thinking that his mark has been totally erased from the place now, but his Church High legacy lives on: in the digital magazines, the new Heritage website and as the technical expertise behind this blog. The site of the IT Manager’s Office (the old NCHS Sick Bay) is now only discernible by the brown L-shaped outline on the concrete floor. As a good friend of Steven’s, I was always popping in and out of the office, so this all felt very strange indeed to me – and not a little sad. It was an odd, L-shaped room, always abuzz with the noise of computer fans and always full of busy. This is where you went if you needed anything done quickly or something had gone badly wrong and you really, really needed help. And you always got it too. 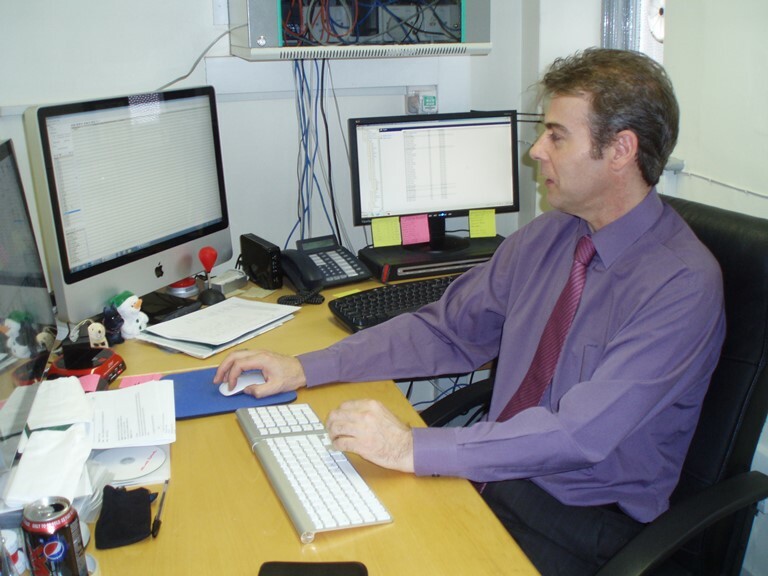 From this office, in addition to managing the NCHS IT hardware, software & budgets, 5 servers, webmail system and supporting teaching & administrative staff, Steven also created and managed the website. 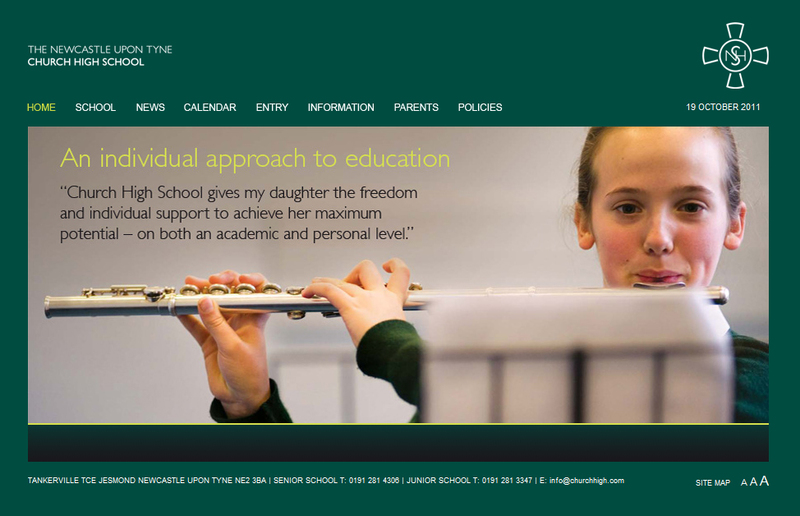 The distinctive final incarnation of the Church High website. 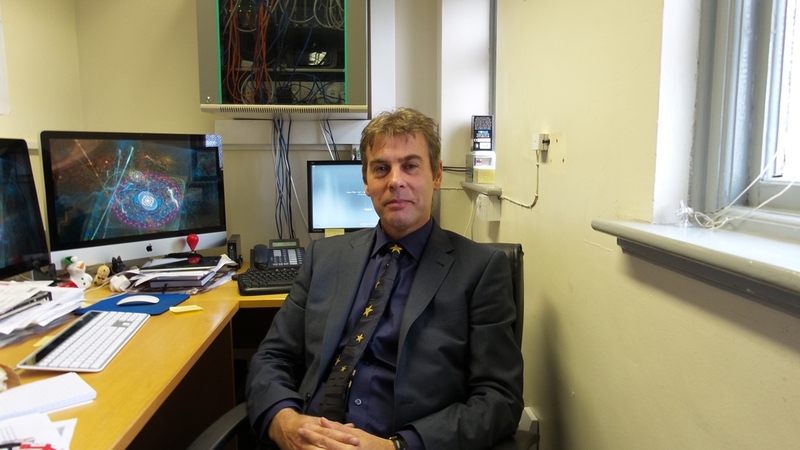 Steven Farrell, as we remember him, in his office in 2014. I remember the far end of the office as being ‘the business end’, alive with monitors displaying mesmerising colourful screensavers. At the other end of the ‘L’, for anyone who didn’t know it, was the evidence that Steven was a very busy man. The notices hurriedly blu-tacked to his door when he was called out to troubleshoot somewhere in the building or was down at Central always made me smile. ‘Welcome to your Office’ gift from Head of IT, Jackie Spencer. 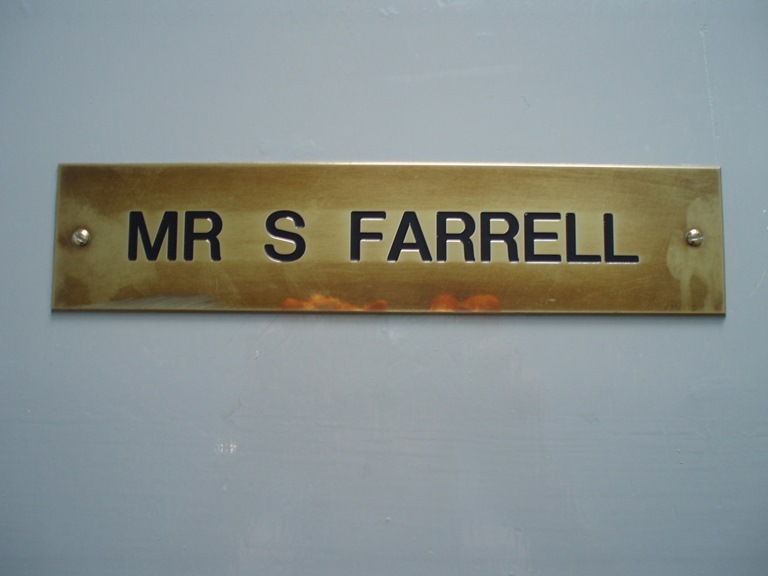 The buzzing, ‘Business End’ of Mr Farrell’s L-shaped office. And as it was when it was first created. 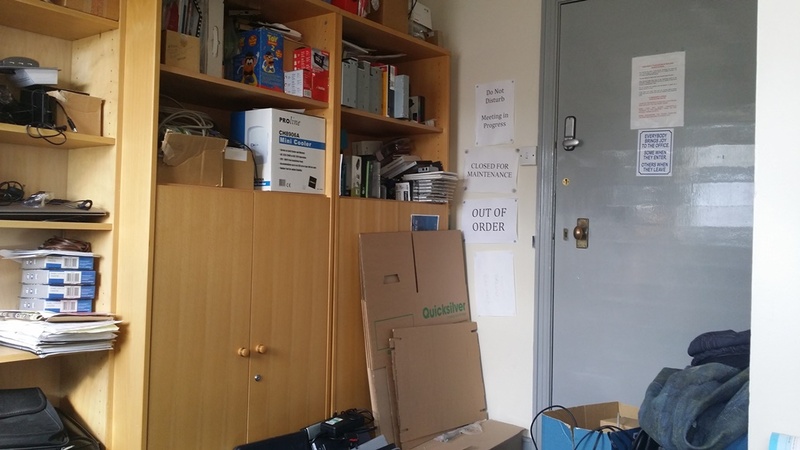 The other end: out-of-office notices still ready for use by the door, even as the room is packed up for closure in 2014. For those ‘in-the-know’, the door to the IT Manager’s Office also retained a quirky feature which offered a clue to the room’s former usage. 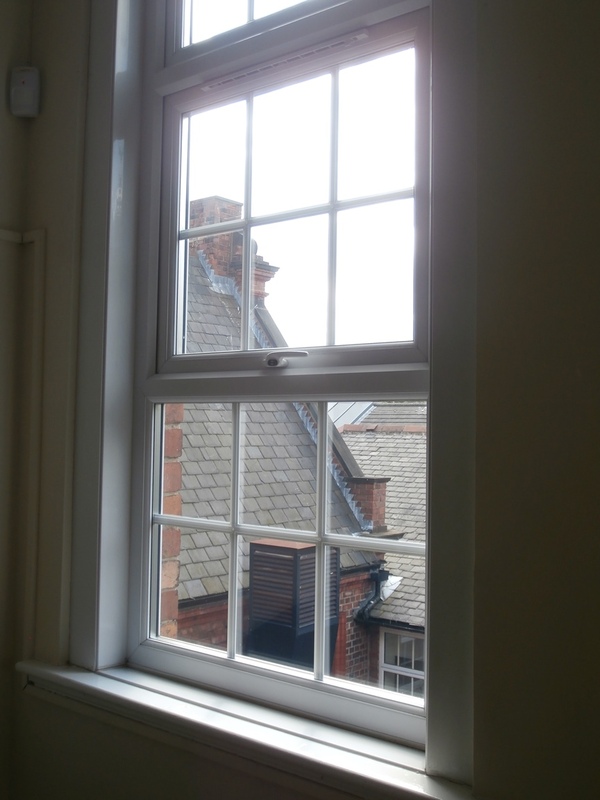 Before the office was specially created for Mr Farrell at the time of Lesley Smith’s New Century Challenge building programme, this space acted as School Sickbay, a room which was then relocated onto the ground floor corridor as part of a suite of Pastoral rooms. I remember old Sickbay well, especially the sound of the sickbay bell if it ever rang in the staffroom: it made you jump. Sick pupils requiring attention in the ‘old days’, pressed a bell on the side of the door. 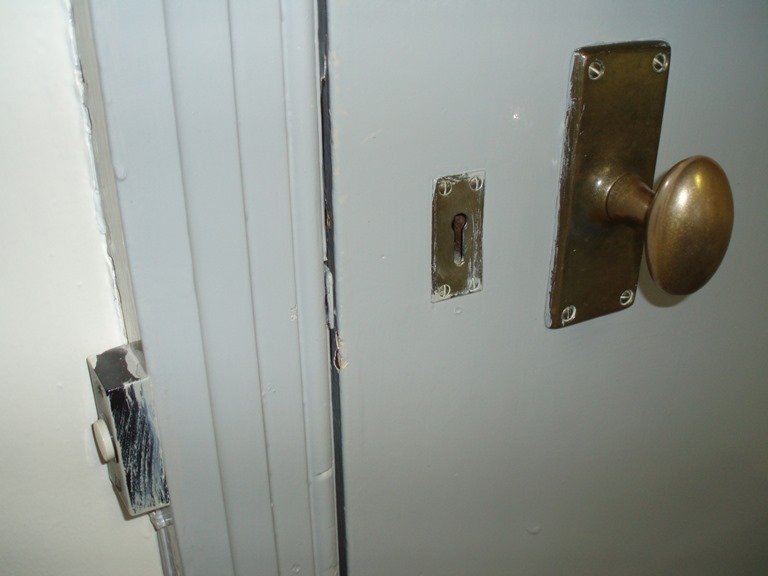 The Sickbay bell on the doorframe was still active until 2014. 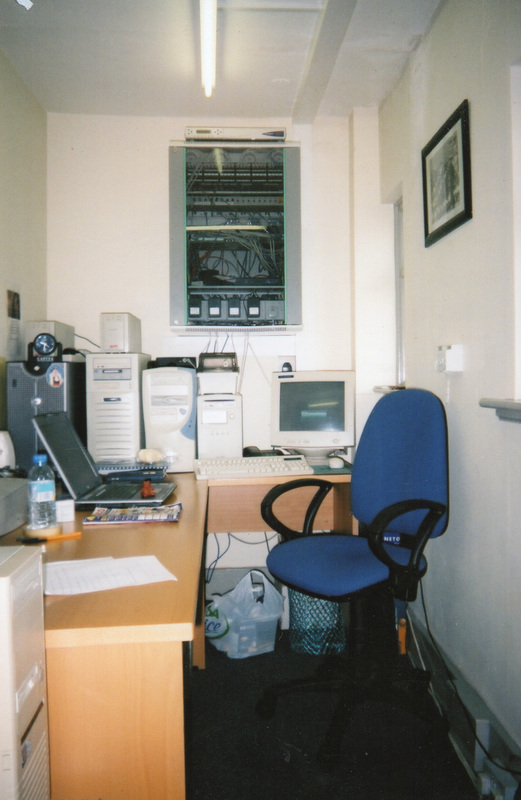 The IT Manager’s Office was positioned here at the turn of the Millennium so he would always be on hand for staff working in the adjoining Staff IT Room and for IT staff teaching in the new ICT Suite. 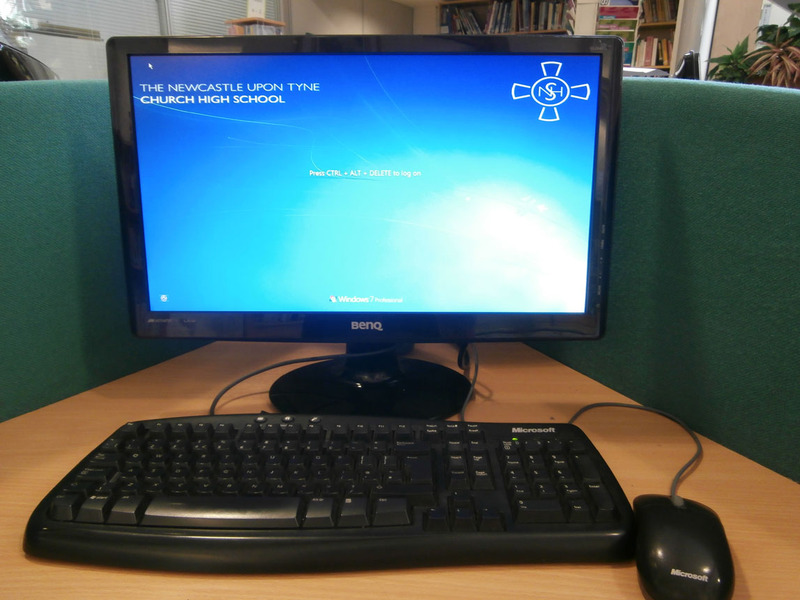 The Staff IT Room was kitted out with the same furniture as the LRC. It was always pleasant to work there looking out onto the roof. The Staff IT Room sat next door to the IT Manager’s Office. 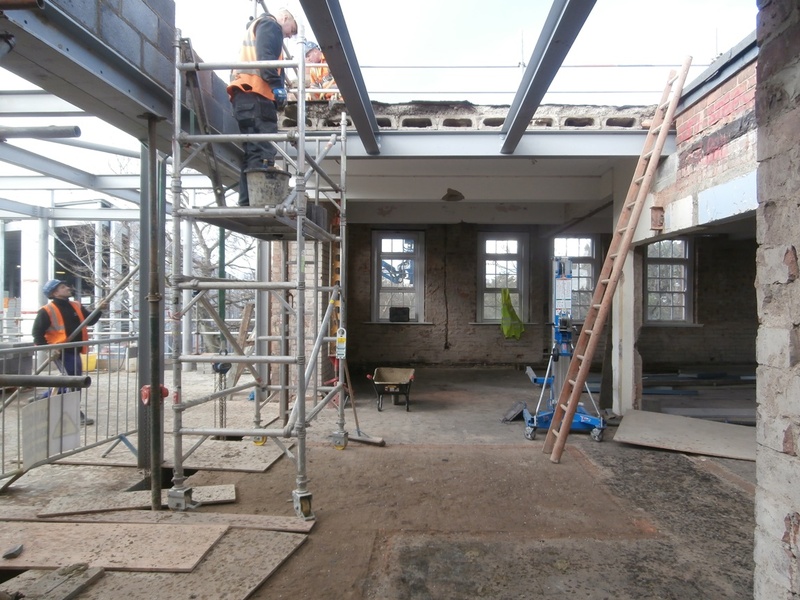 View of the roofline from the Staff IT Room. In my time, I have also known this room as a Careers Room, but at the moment, this little complex of rooms and short corridor is just one big open space. 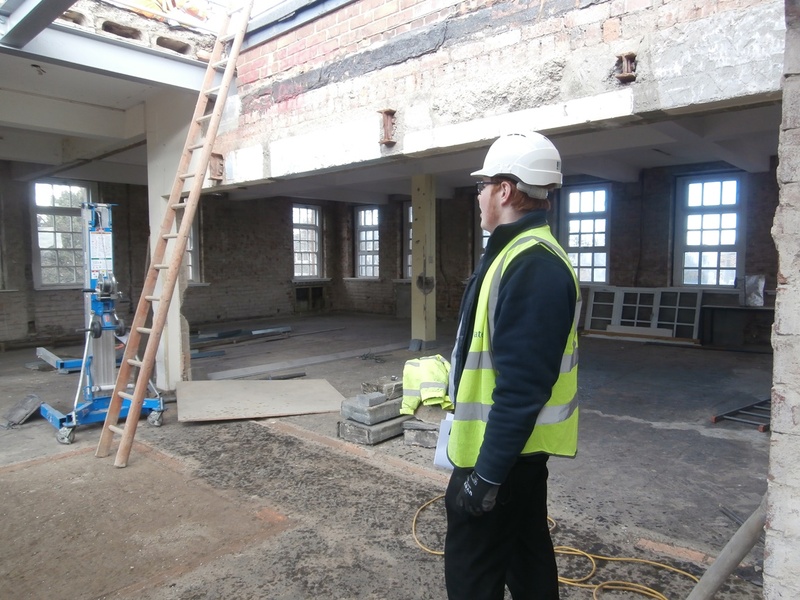 Part of the Staff IT Room area will be turned into a Deputy Head’s Office; the rest of the space will become a large landing providing access to both the new stairs and the lift. 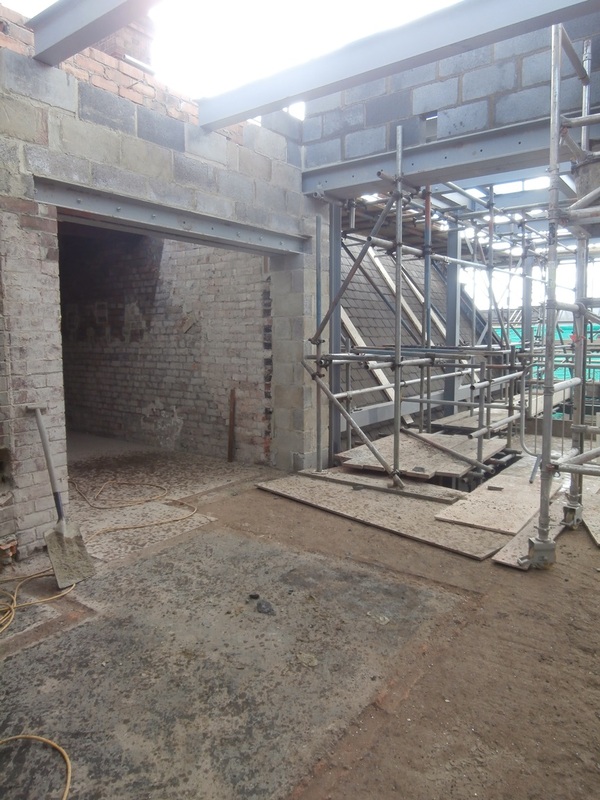 The wall separating the Staff IT Room and the ICT Suite with its connecting door (right) has been demolished and the doorway onto the fire-escape (left) is now being bricked up. 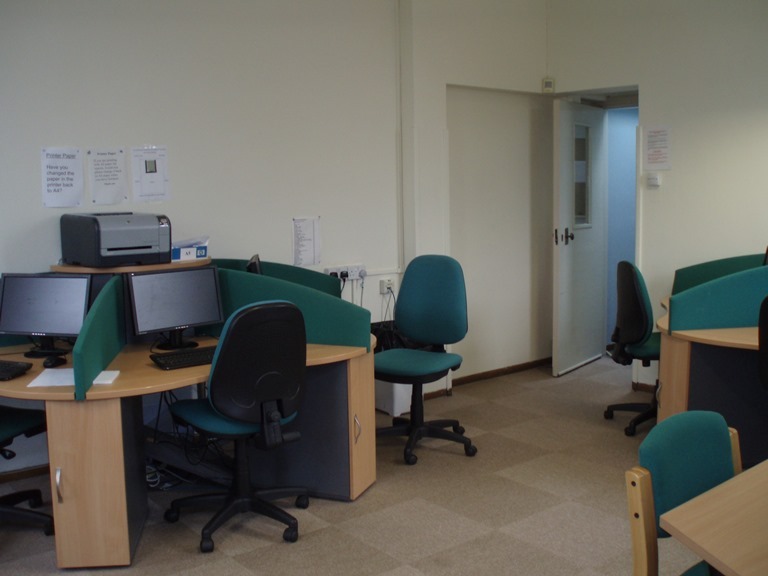 Although the ICT Suite was kept locked when not in use, it could still be accessed by staff via a door connecting it to the Staff IT Room. IT Suite teaching area with connecting door. 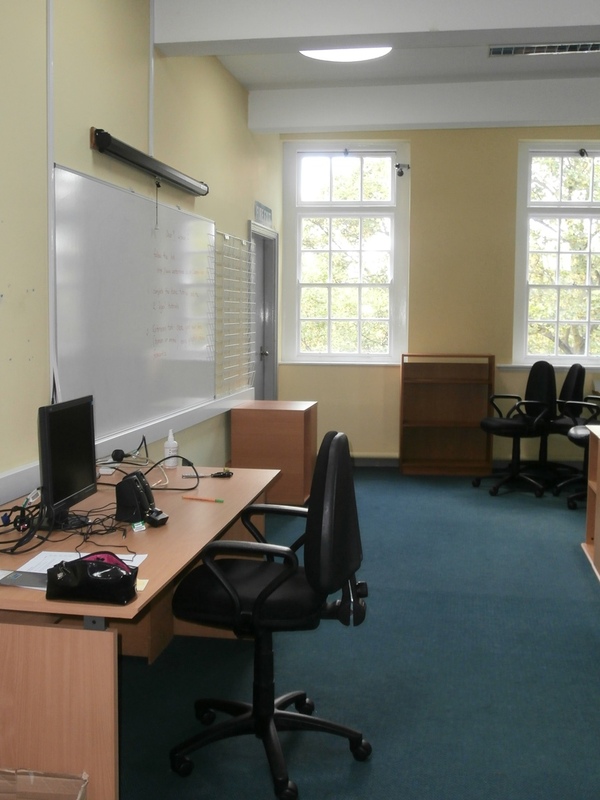 The fact the IT Suite (initially two teaching areas separated by a glass screen) was painted primrose yellow, benefitted from numerous circular light port-holes in its ceiling and also had multiple windows thanks to its corner aspect made it a very bright and airy room in which to work. Because of this, the room was always very busy. 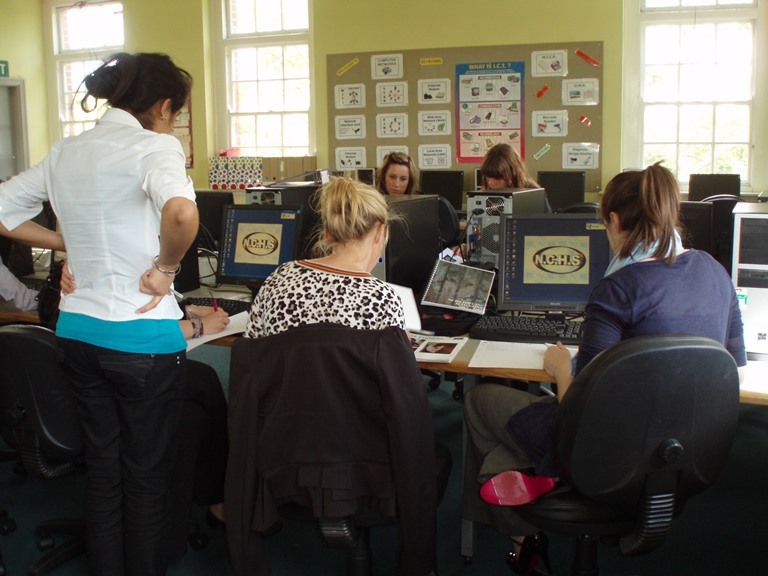 Minus the partition, the ICT Suite was a great working space. 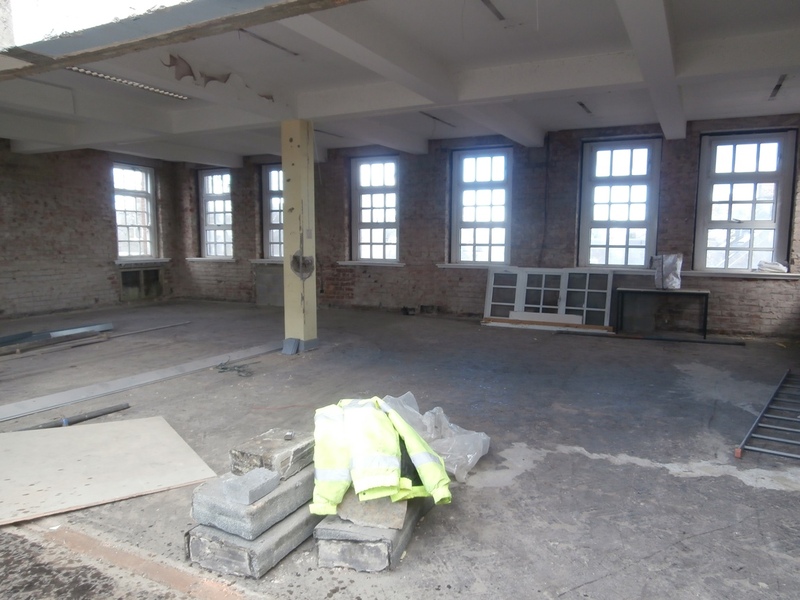 Although this area is just one big open space at present, the space will be separated into two again very soon, this time into classrooms. 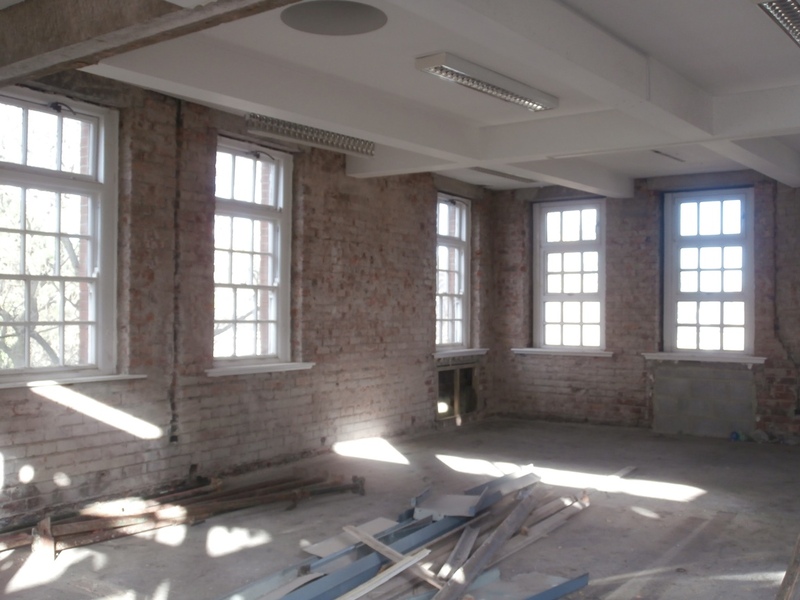 Even without its plaster and primrose yellow walls, on a sunny day ‘Computer Corner’ is still a very light and airy space. Coincidentally, Steven Farrell and Headmistress Lesley Smith both took up their positions at Church High at exactly the same time, January 1996. Looking back now, it is quite amazing to think how much the School changed in such a relatively short period of time. 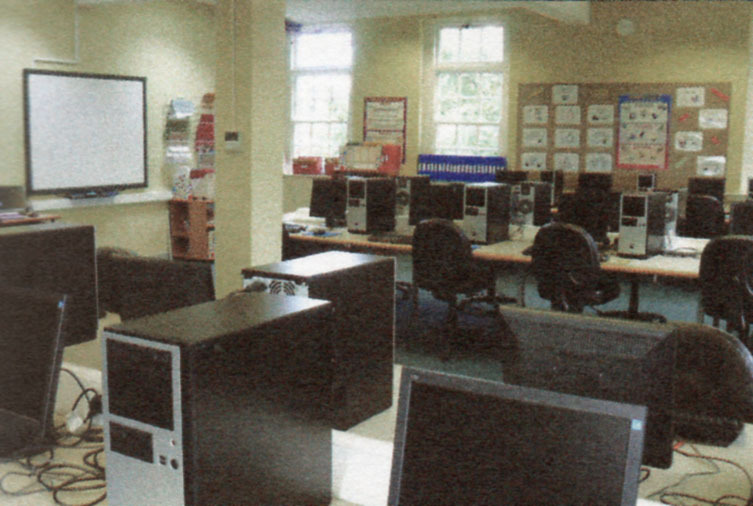 Owing to the creativity and forward-thinking of both in their own spheres of influence, Church High changed from a rather traditional bookish place (not in itself necessarily a bad thing) to a modern digital 21st Century learning environment with a computer & projector in every classroom, 4 bookable IT teaching spaces and a high pupil-to-computer ratio allowing a highly creative and flexible approach to work. The new century challenge was duly met. ‘Computer Corner’ ruled. I spent the best years of my life in this school and was lucky enough to meet some wonderful people. I was always grateful for the creative freedom that I was given and hope that my time here helped to improve the lives of everyone that I came into contact with. Church High had a truly unique atmosphere and I miss it terribly. Thankfully it will live on through Christine’s blog and the Heritage website. 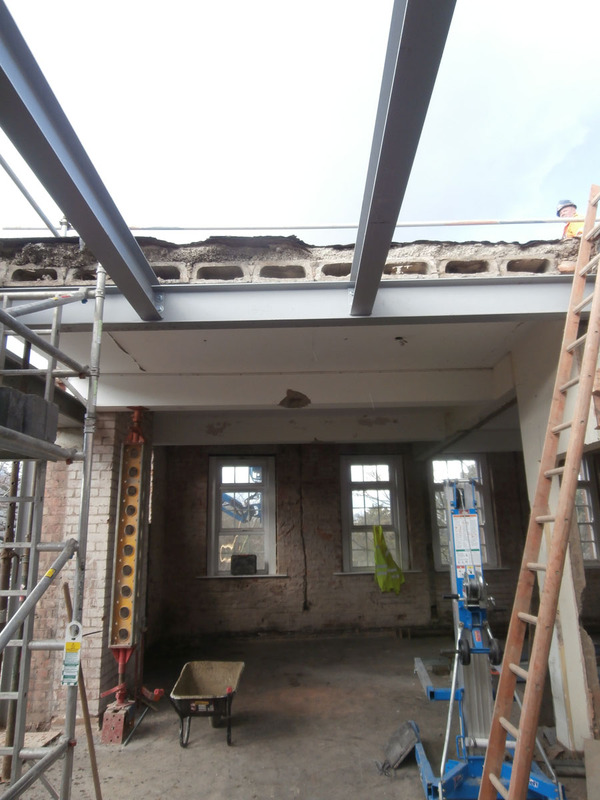 Fascinating coverage of the physical changes to NCHS over the (relatively) recent past – most of them after my time! Like Steven, I greatly miss the place as I remember it. Good to see the pictures from an earlier era in the previous post, too. Keep up the good work, Christine….